We're big fans of Lost Sphear here at Nintendo Life - so much so that we gave it a glowing 8/10 review back in January - so imagine our excitement when we heard Square Enix is offering a massive discount on the game when you purchase a copy from the UK version of the Nintendo Switch eShop. It's currently 30% off, so you can get the full game for only £27.99 (as opposed to £39.99). That's a huge slice off the price, so if you haven't played it already (and you really should), this is the best time to grab a digital copy and play it on your Nintendo handheld. I have the Physical release. USA Cover outside, Japanese cover & cartridge inside. I got "I Am Setsuna" instead. 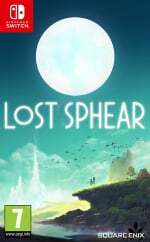 It's 50% off ($20 USD), and I wasn't sure about Lost Sphear from the demo. Perhaps during another sale. @MartyFlanMJFan Kirby has proven time and time again that he sells software. It's hard to fathom why people would even bother with overpriced games like these when there is so much better content now available on Switch. @MartyFlanMJFan : Now that was really surprising given the target audience (I'm still not quite sure what that is exactlymlol), the relative infancy of the Switch's userbase and the fact that an IP as saccharine and cutesy as Kirby débuted at #2 in the U.K. on the all formats chart!n*Very* impressive results indeed. I bought it of course but I still need to beat Planet Robobot. Got the physical, but didn't realise its a game that is only half finished. There is no FMVs, no vibration, there are so many different ways to upgrade (weapons, skills and armor) it downgrades the gameplay and they threw in Mechs for no reason. I really didn't enjoy the demo. That may be a fault with the demo itself (I had no real idea what was going on, neither story-wise nor mechanical), but to be frank, nothing about it really spoke to me, not the visuals, not the music and certainly not the interface. Is this game any good? I played I am Setsuna and wasn't a huge fan. I'm semi-interested in buying this but, and this is ridiculous I know, if I'm spending that much, I want interior case art. I'll get it after I get Octopath Traveler. I really liked the demo. Just wish I didn't get paid the day after this ends. is this getting a physical release? @Ralek85 same. I put in ten hours into the Octopath Traveler demo, and only 30 minutes into Lost Sphear. Same with most of you, I wanted to like the demo but just didn't. It's a paint by numbers RPG lacking that draw to keep you wanting to see what's next, at least in the demo section. Octopath hooked me hard in a brief time. Drop it down to $20 and I'll bite. @invictus4000 You didn’t like Octopath?! This game and I am Setsuna are so bland. The only thing they're good for is a substitute for a valium. I do not know who would be a fan of these snooze fests. I would not pay $5 dollars for it. @invictus4000 I actually spend several hours in the Octopath Traveler Demo. I really think it has this 'classic jRPG feel' without too much of that sense of been-there-done-that. 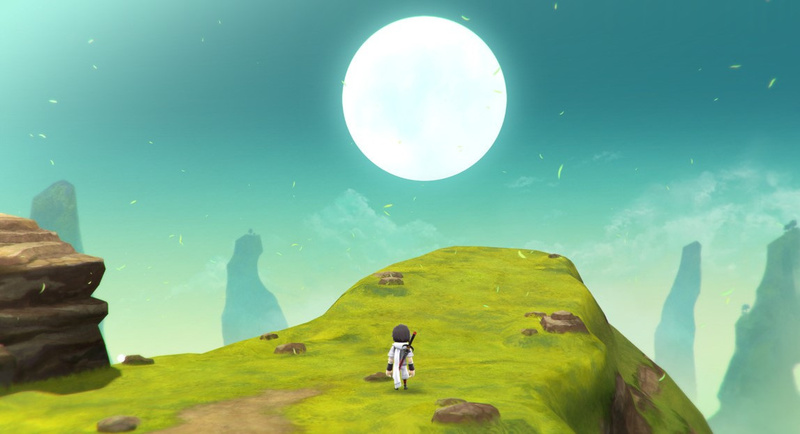 Anyways, I'm glad for any and all jRPGs that exist, and especially the ones that make it to the Switch, hence, while not to my taste, I'm kinda glad that Lost Sphear was made, and I hope it turns out to be a success for Tokyo RPG Factory. Afterall, variety is the spice of life, and that seems to go double for a system like the Switch! Not to mention, that Octopath Traveler is not even 4 months away anymore. I hope something else in the genre comes along soon that is more to your liking! Still way too expensive for a mobile-tier game. Better wait for a bigger discount I’d say. Is it better than I am Setsuna? That one got quite tiring after a while. @rushiosan Everything on Switch is mobile-tier. Pretty nice deal. Just a heads up, I do believe you get the full MyNintendo coins despite it being on sale. After being let down by I am BlandRPGtsuna from the same developer, I am really hesitant to buy anything from them again. I am Setsuna isn't terrible. It's just felt really standard and safe. Square Enix might have published it, but they didn't seem to have any part in making it. got lost sphere. perfect timing as I need to be in LA for the week. Not big on the demo but can do turn based battles for hrs when traveling. Lost Sphear has Physical release.